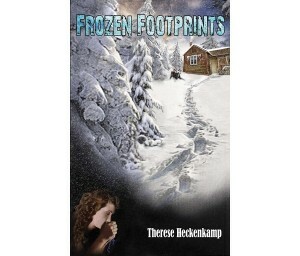 Frozen Footprints (Tumblar House, 2012) is the latest contribution to Catholic suspense by Therese Heckenkamp, author of Past Suspicion. I freely admit, suspense is not my genre of choice, but Heckenkamp once again managed to keep me interested and invested in this story. Charlene and Max Perigard are twins, raised by their grandfather, a wealthy oil tycoon who wants little to do with them. When Max is kidnapped, their grandfather thinks it is all a scam and wants nothing to do with it. Charlene then goes after Max on her own and soon becomes trapped as well. The vast majority of the story takes place in a cabin in the woods and centers on the relationship among Max, Charlene, their captor Abner and his brother Clay. It also, as one might expect given the Catholic fiction designation, focuses on each of the character’s relationship with God. Each struggles with God in his or her own way. Abner, the evil one, is a former seminarian who has since rejected God and now worships the devil. He is truly terrifying. Clay would like to believe in God but, after he accidentally caused his father’s death when he was seven years old, feels that God has abandoned him. Max and Charlene have both been turned off of religion by their grandfather, yet in their hour of need turn to God and ask for help, even when it seems God is ignoring their pleas. Interestingly, I found a very minor character in the story – the mother of Abner and Clay – to be the one that intrigued me the most. She is a devout Catholic, and has remained faithful despite a rash of horrible events in her life. She also teaches Charlene an important lesson at a time when she needs it the most. I think that a story from this mother’s point of view would be very compelling. Overall, if one enjoys Catholic suspense, this would be a good read. Frozen Footprints is especially well-suited to teens and young adults.